If you are looking for a way to upgrade your outdoor space in Los Angeles, a new patio is a great way to completely change your yard. Pacific Green Homes is happy to work with you to design the patio of your dreams to create a yard that you will want to have all of your friends at to enjoy fresh air day and night. Contact us today to work with a team of professionals so that your patio will be the envy of your Los Angeles neighborhood. Before you begin the design phase of your patio installation, it is important that the team you are working with has a full understanding of what your yard currently looks like. Without knowing these specifics, it will be impossible to utilize the yard, the shape of your house, and other details such as the contour of the area and the boundaries of your property to come up with a design that maximizes all of these details. Be sure that you share these relevant details with your installer before you begin your design. How will you use your patio area? If you have a pool and want to increase your usable space around it, then it is important to include the pool in your designs. If you want an area to barbeque, or a space for lawn chairs, these are all important details to consider when you are working through your initial design with patio professionals. Do you plan to have a garden, a terrace, or a quiet footpath through some shrubs to escape from the world for a bit? Having a vision for how your patio will be utilized is the most important step when it comes to designing an area that will be exactly what you want it to be. Pacific Green Homes will work with you to realize your vision and design the patio that you will love. The materials you decide to build your patio with will greatly affect the aesthetics of your area, as well as the cost and required maintenance. A full-brick patio will be much different than a patio that utilizes crushed stone, concrete, tiles, or flagstone, and each will have a benefit depending on how you plan to use the space. Gravel or uneven surfaces are not a great choice for an area that you want to put a table and chairs on, but can add beautiful contrasts to the edging of your patio. Choose your materials based on planned use for the patio, as well as the color pallet that you desire. When you are designing your patio, it is very important that you clearly define your budget. If you begin your planning without a budget in mind, you may very quickly come up with a design that is financially unrealistic, or alternately, you may feel that you are much more constrained than you actually are and under-design your space. 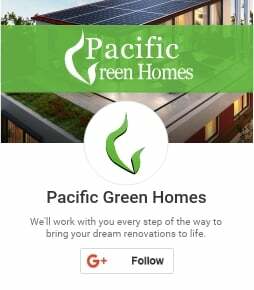 Pacific Green Homes will be able to take your budget into account while we are coming up with your ideal patio, and will work to create the perfect balance of cost and beauty. Pacific Green Homes has a history of patio installation experience in Los Angeles, and we look forward to working with you to create the outdoor space of your dreams. Our team of professionals will ensure that your permitting is handled, your installation is smooth, and that your final product is what you have always wanted. No matter what design you’ve decided, materials you choose, and the budget you want, we will be sure that the entire process is simple and enjoyable. Contact us today to begin the process of installing a beautiful patio to upgrade your yard. We will be happy to provide you with a free estimate of your proposed designs, and look forward to working with you to create a new patio that you will want to spend your entire summer on.